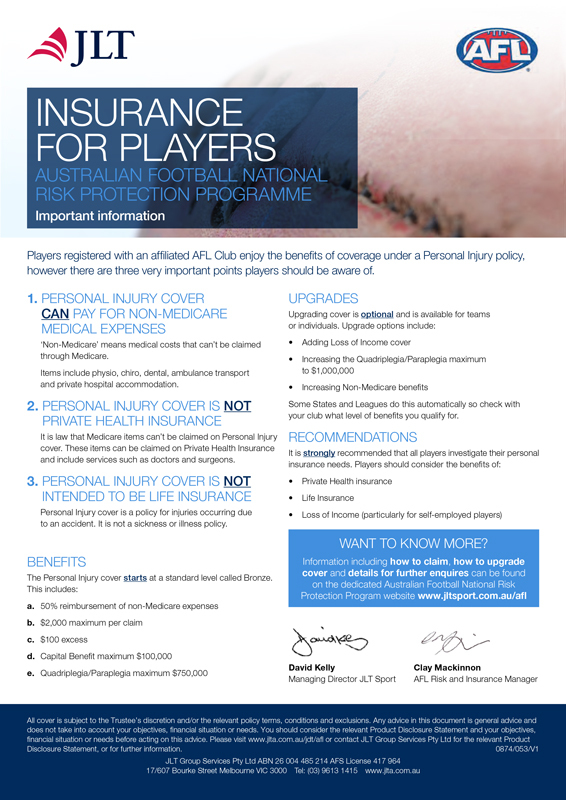 All players, coaches, administrating staff and officials should read the following Insurance Policy. The Pulteney Football Club has an insurance policy in place to protect and cover its community. Details of the policy are outlined below should you need to refer to it.